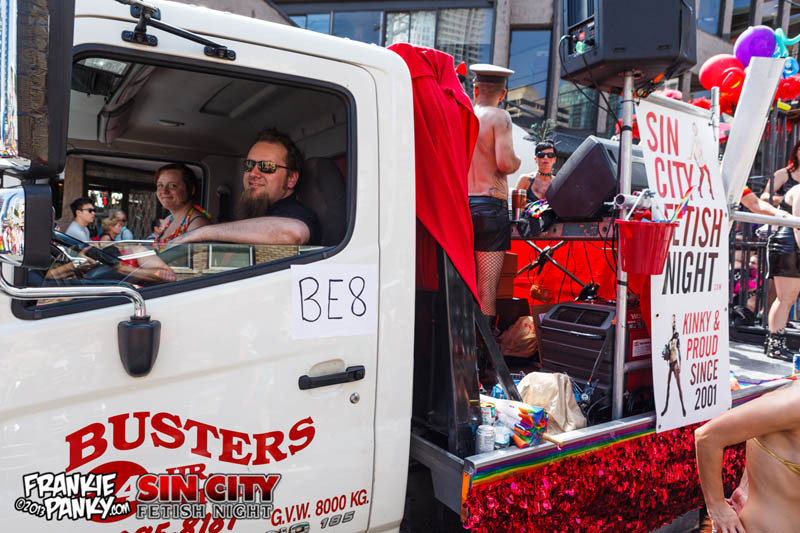 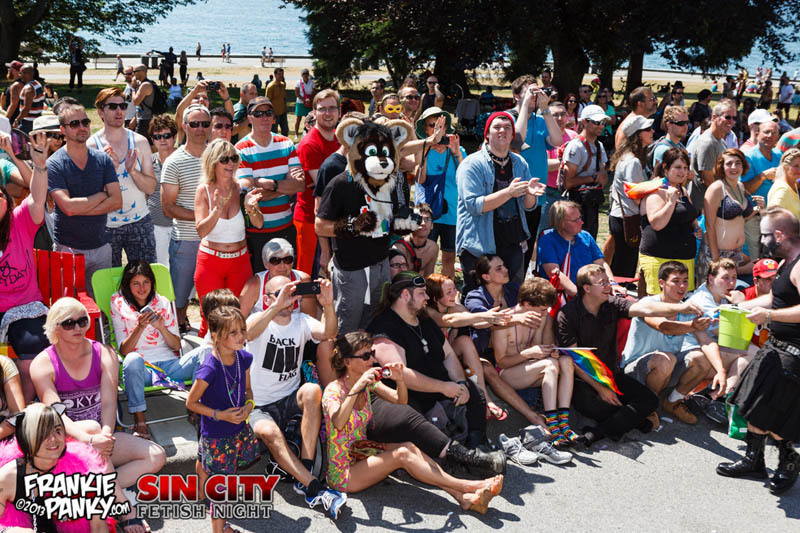 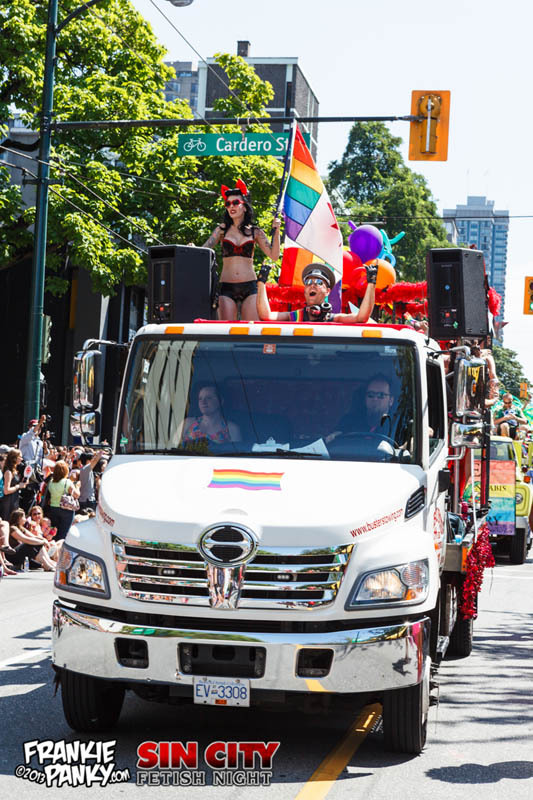 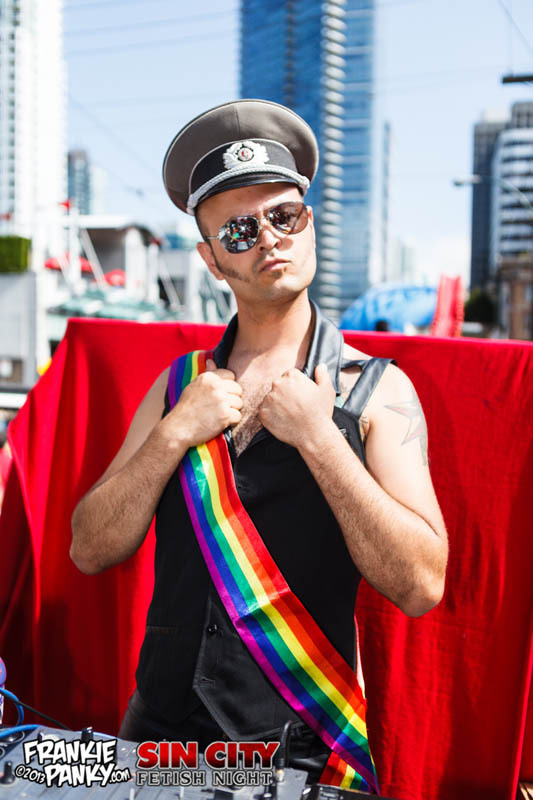 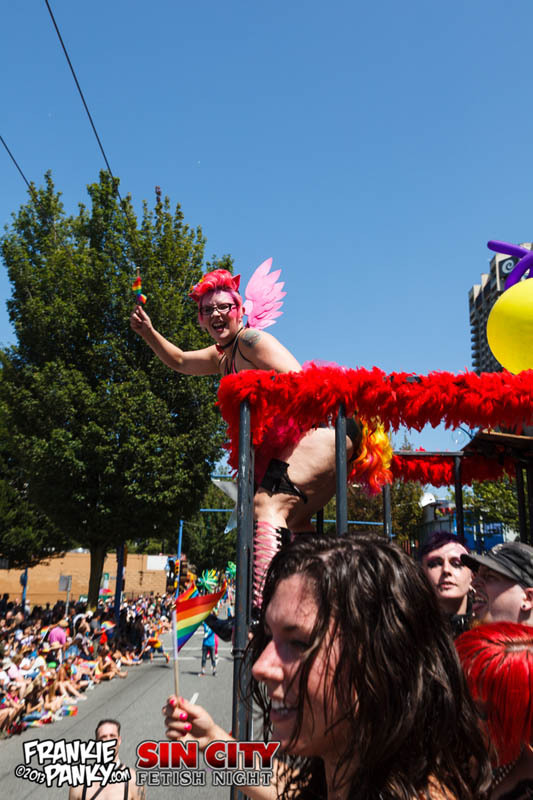 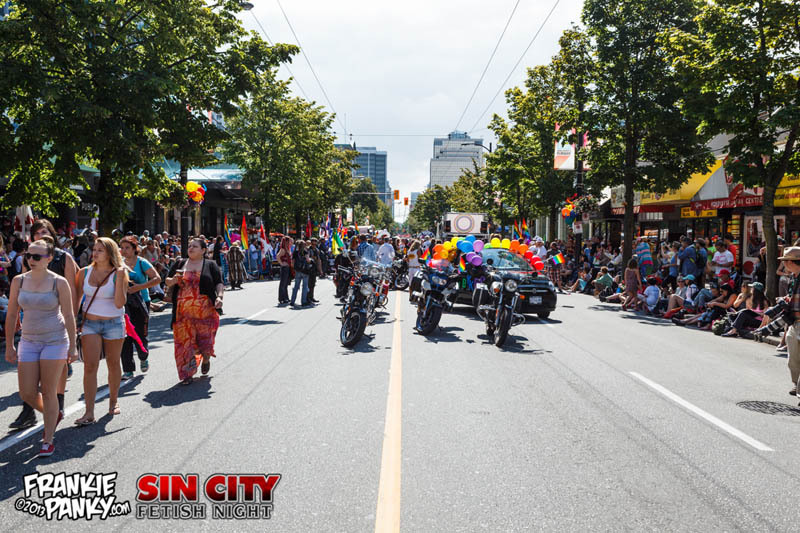 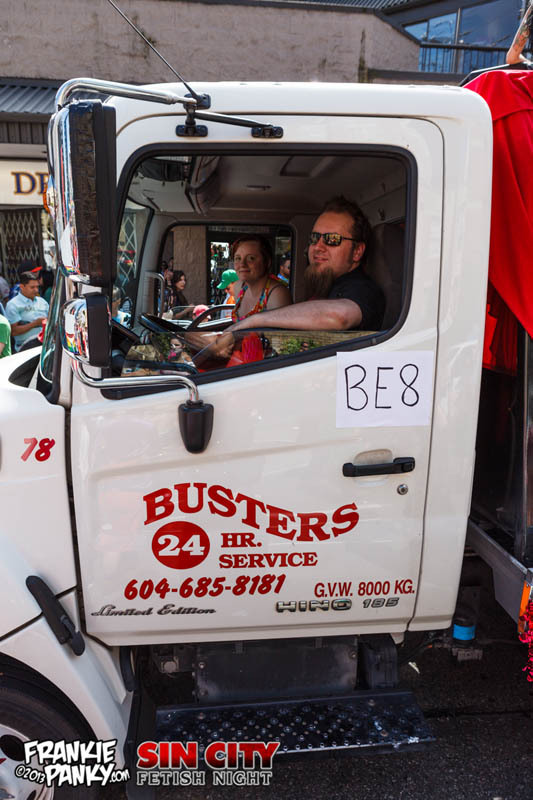 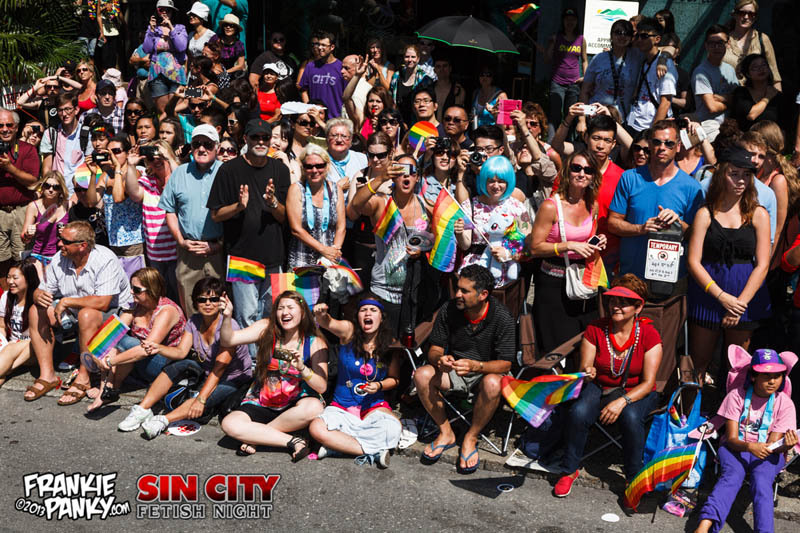 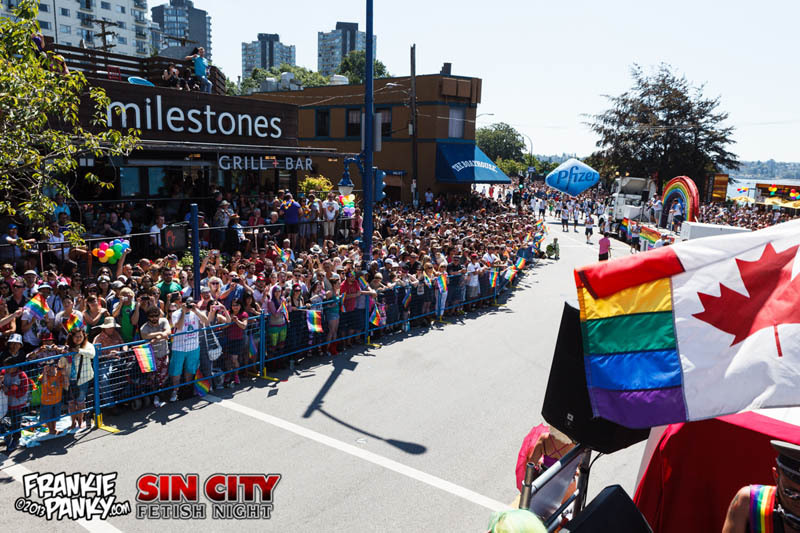 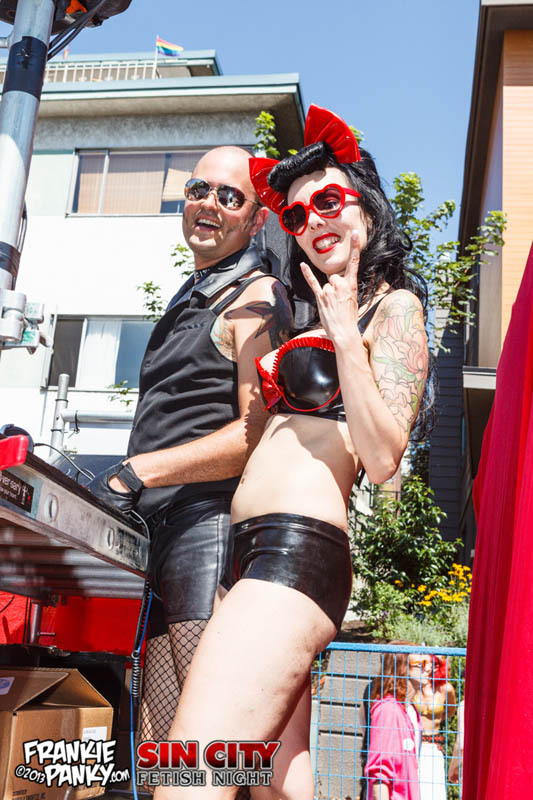 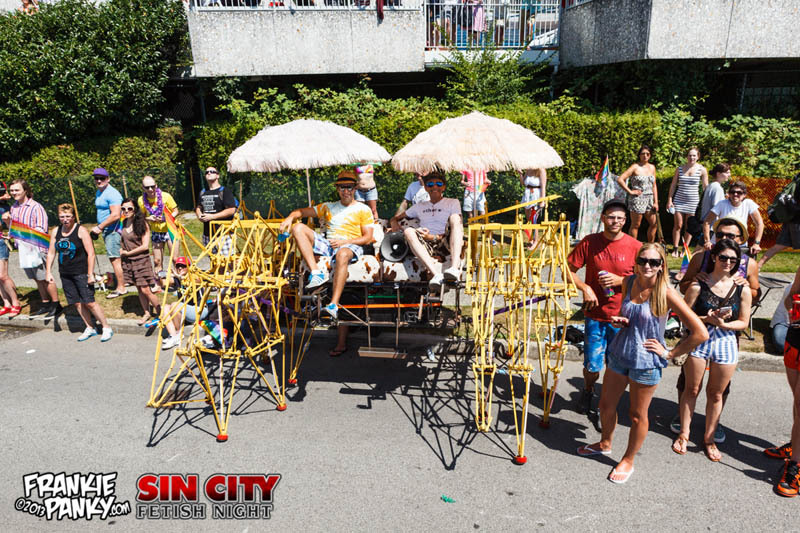 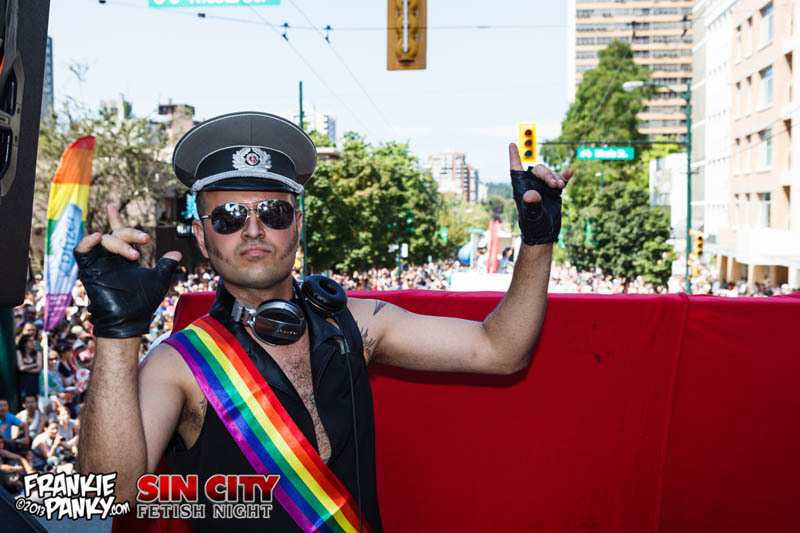 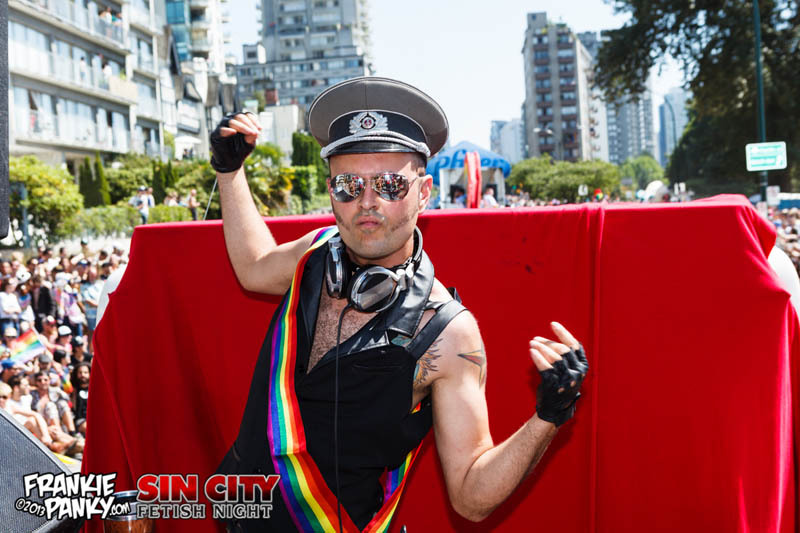 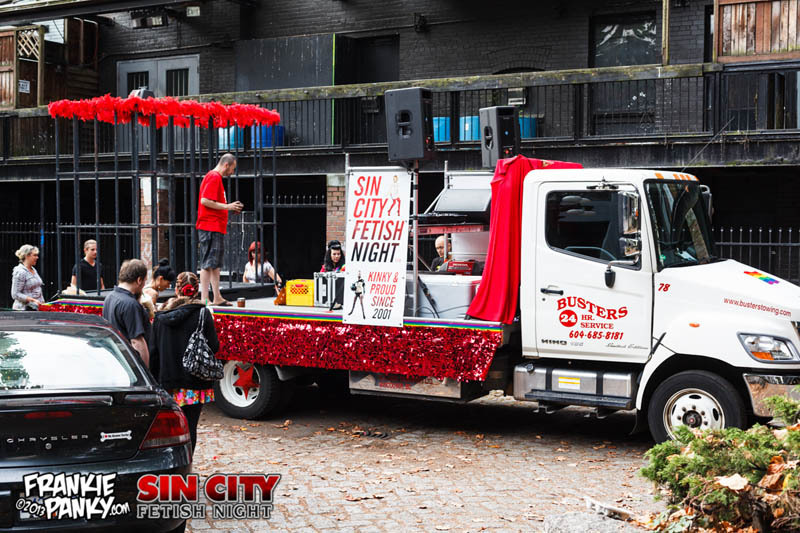 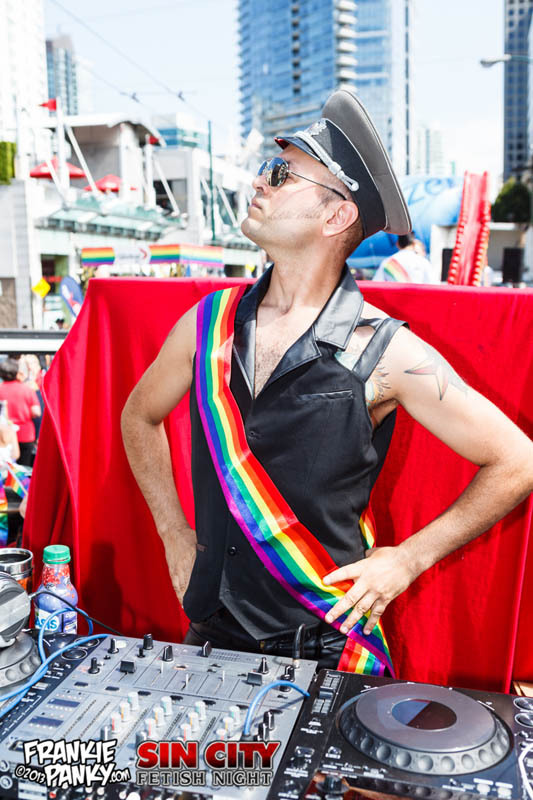 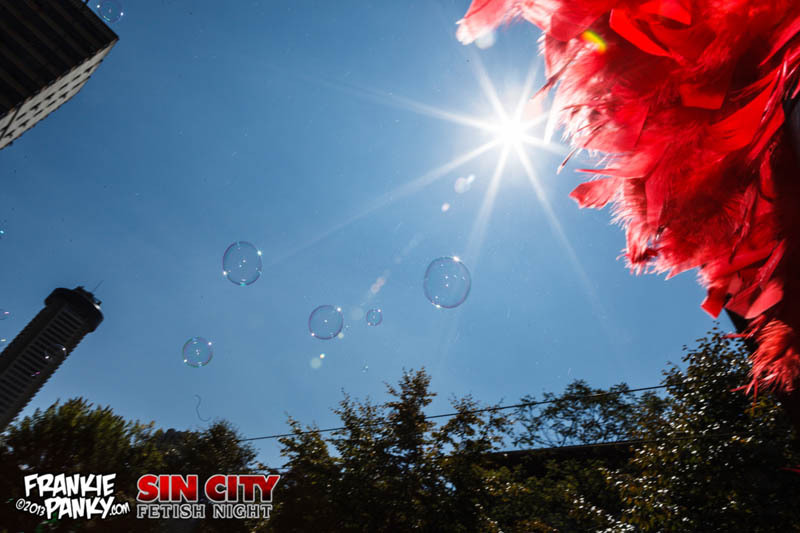 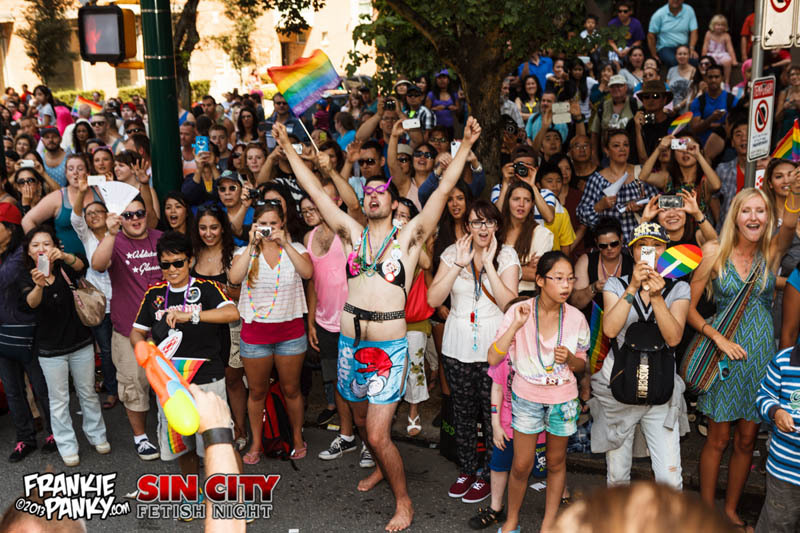 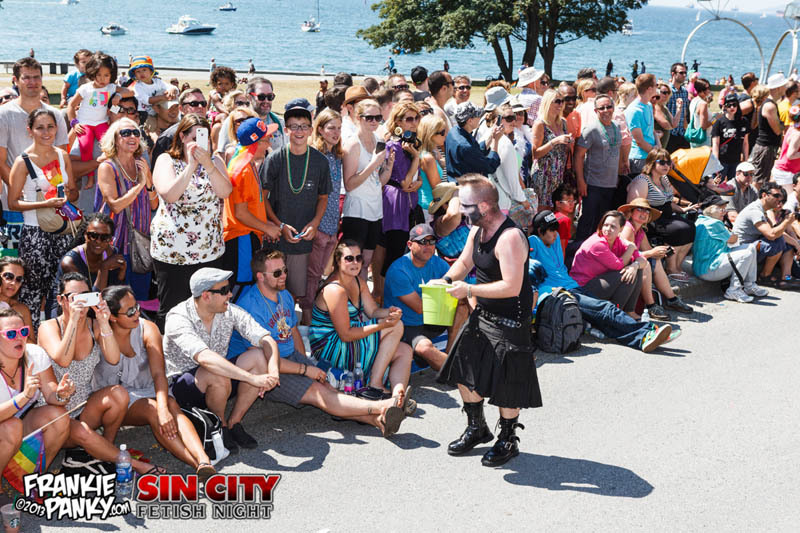 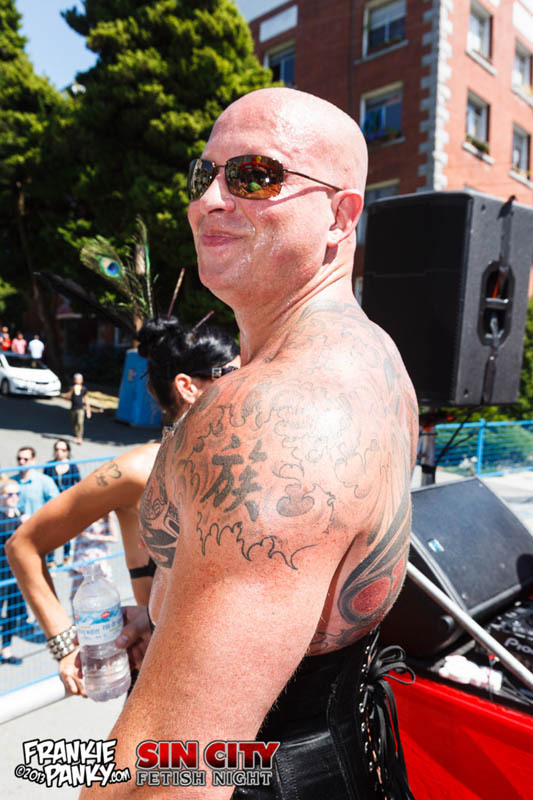 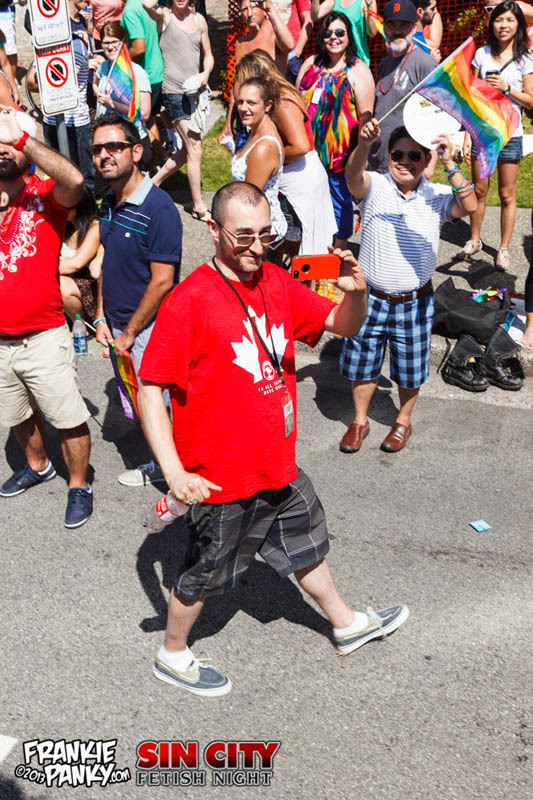 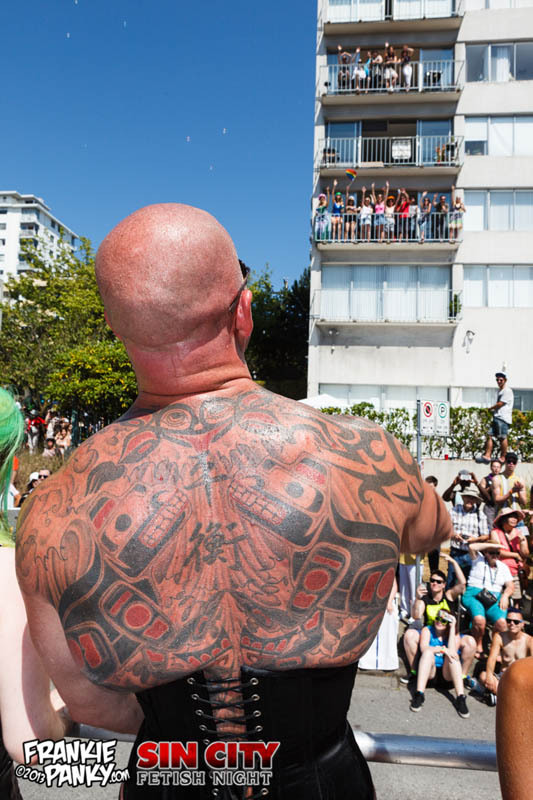 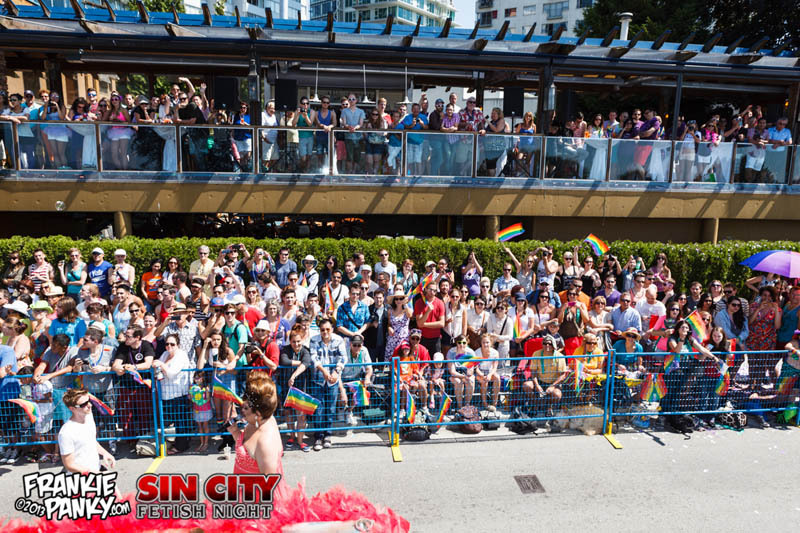 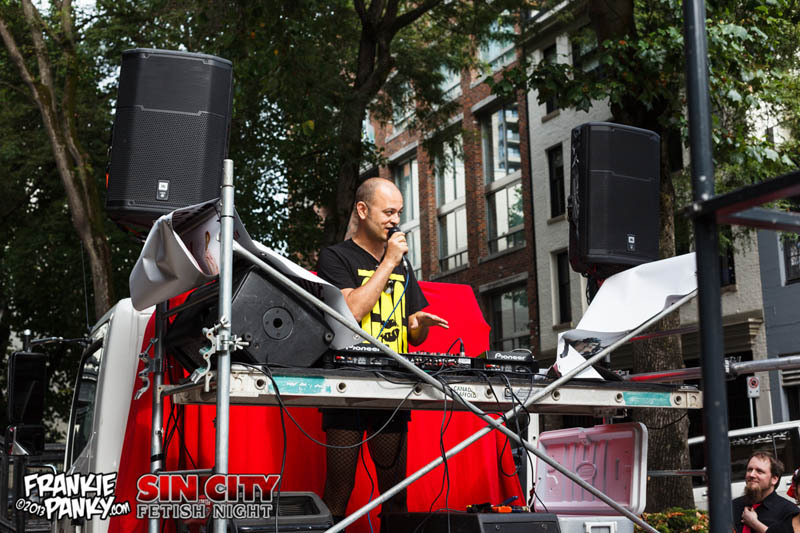 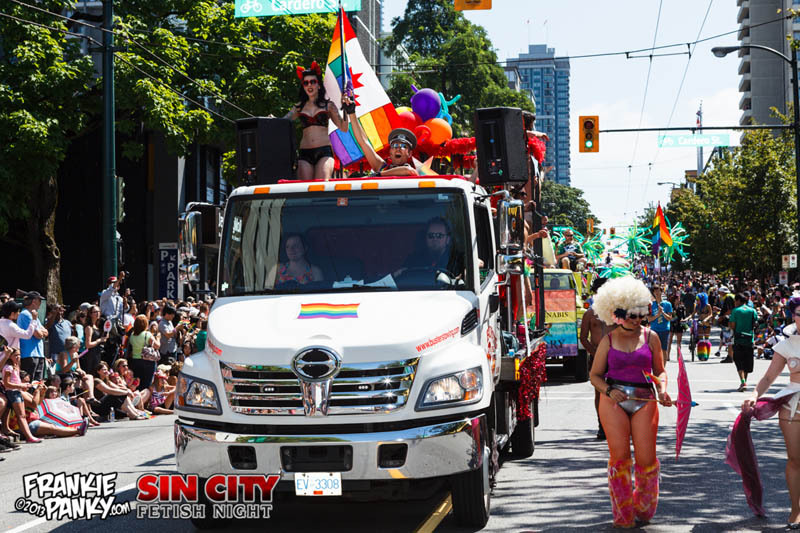 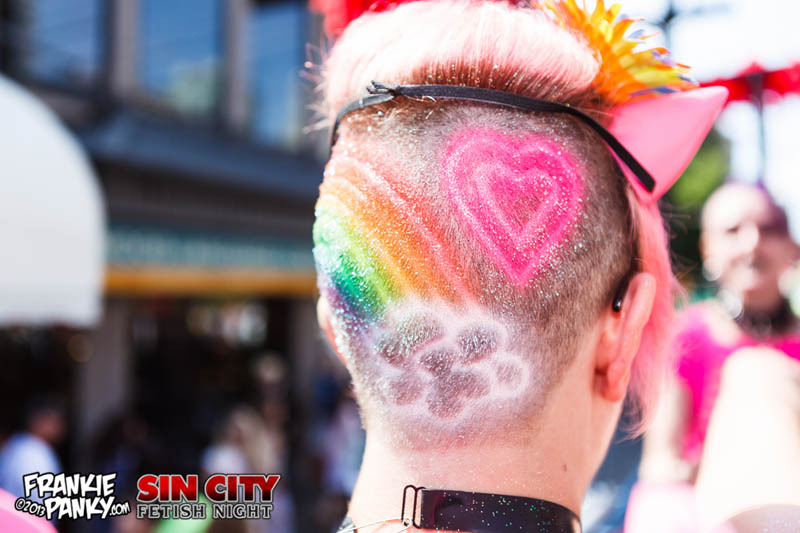 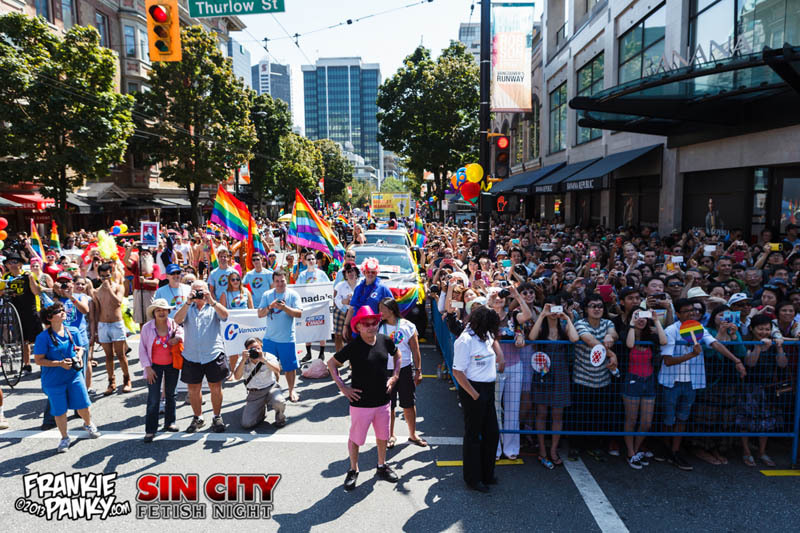 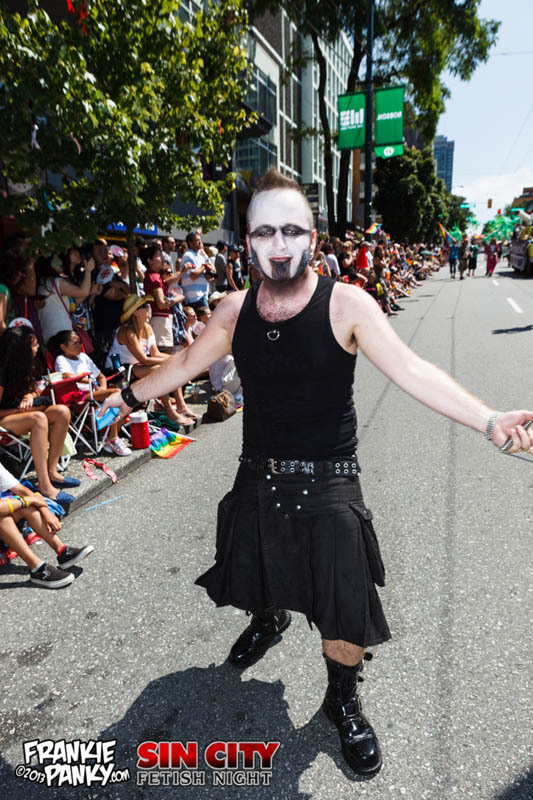 For the first time ever, Sin City Fetish Night had a float in the Vancouver Gay Pride Parade, walking in solidarity with all our brothers and sisters in the gay community! 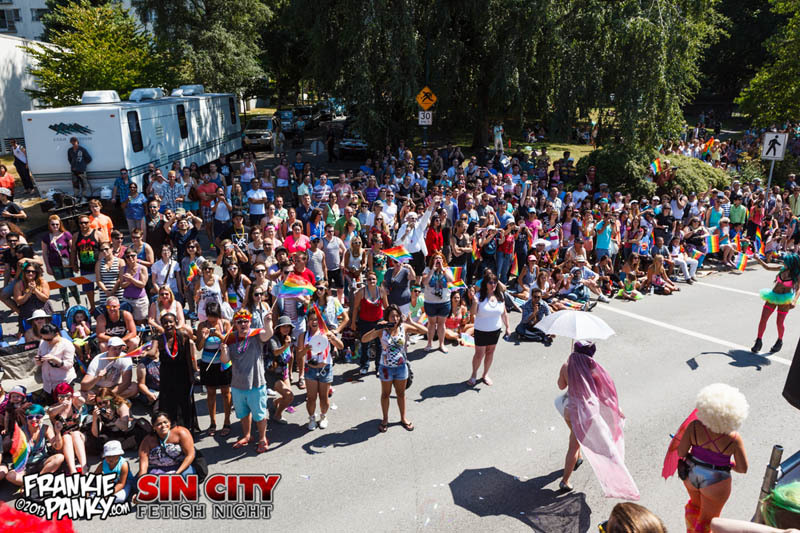 MANY of our attendees, DJs, venue & event crew are GLBT, and we were thrilled to be lending our support by marching en masse in the Parade! 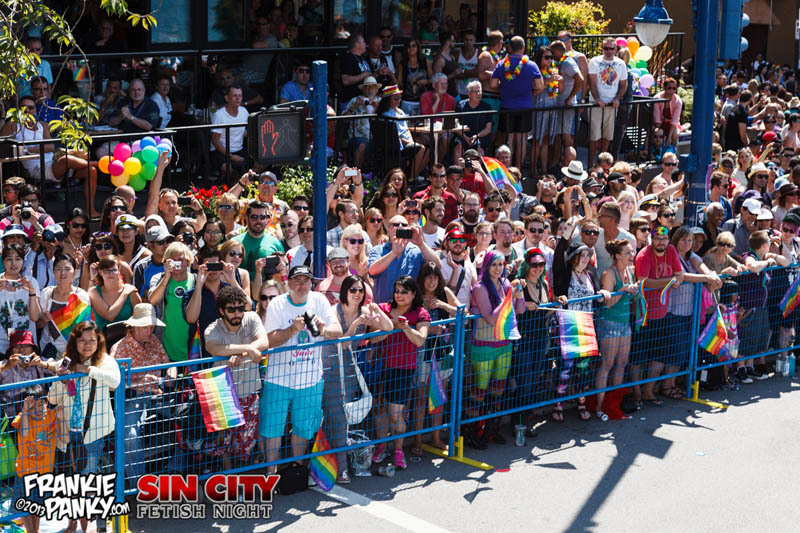 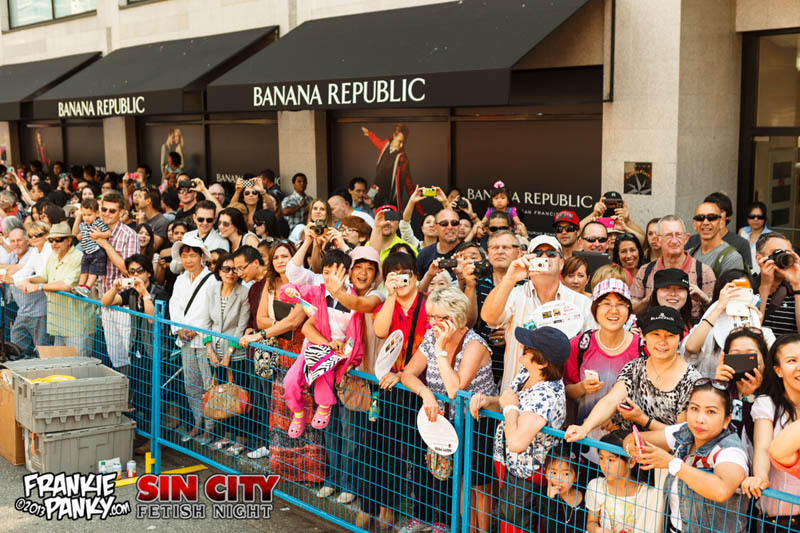 2013 saw over 650,000 people cheering the Parade on! 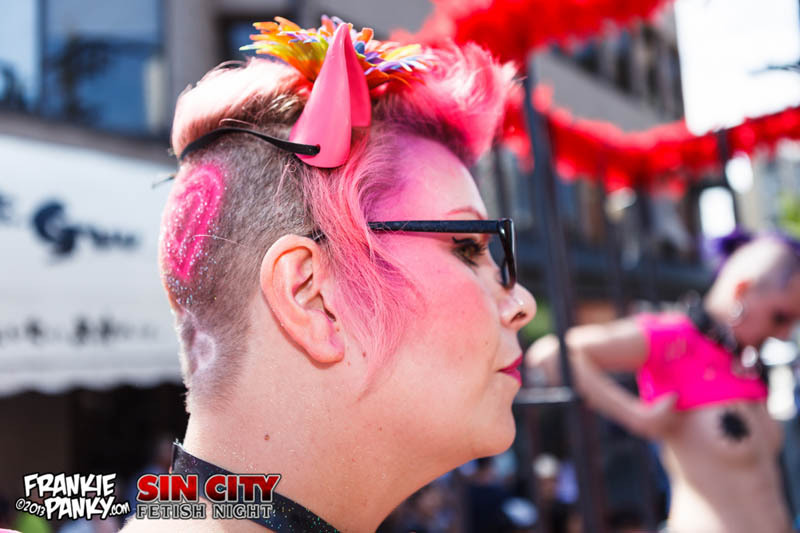 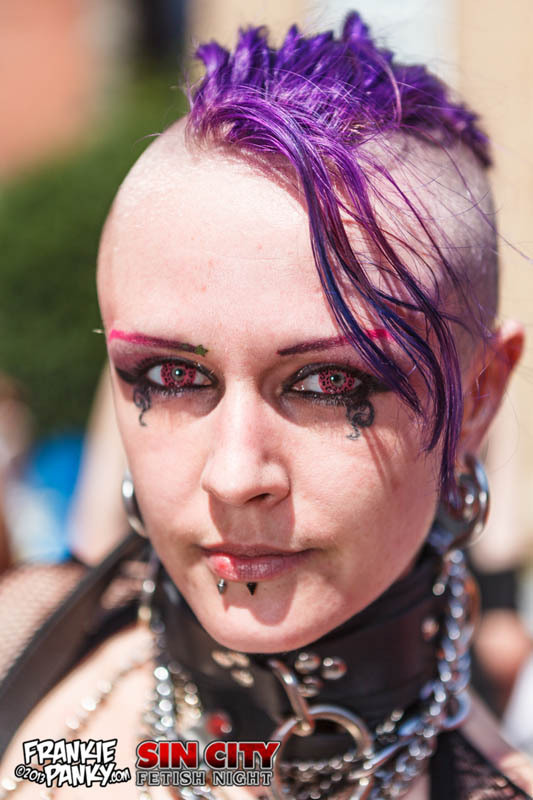 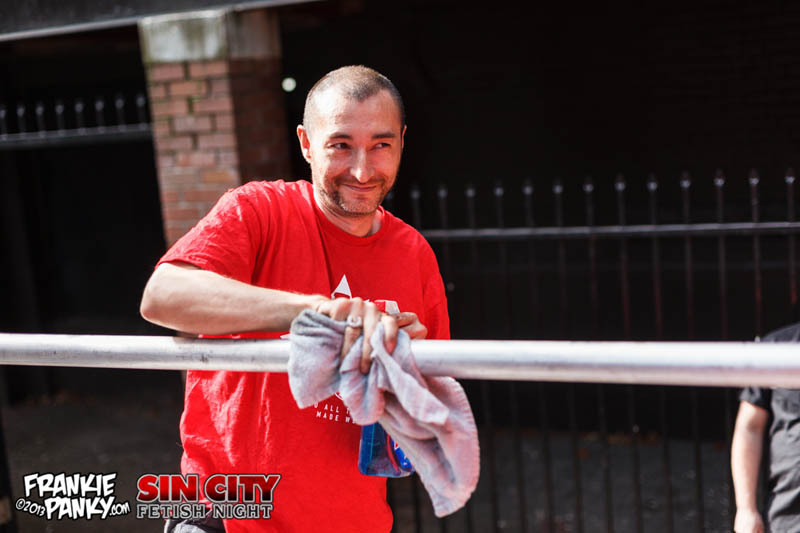 All photos by Frankie Panky.